Our pastor is celebrating the 30th Anniversary of his Ordination. We have been blessed that he has been at our parish for 15 of those 30 years. 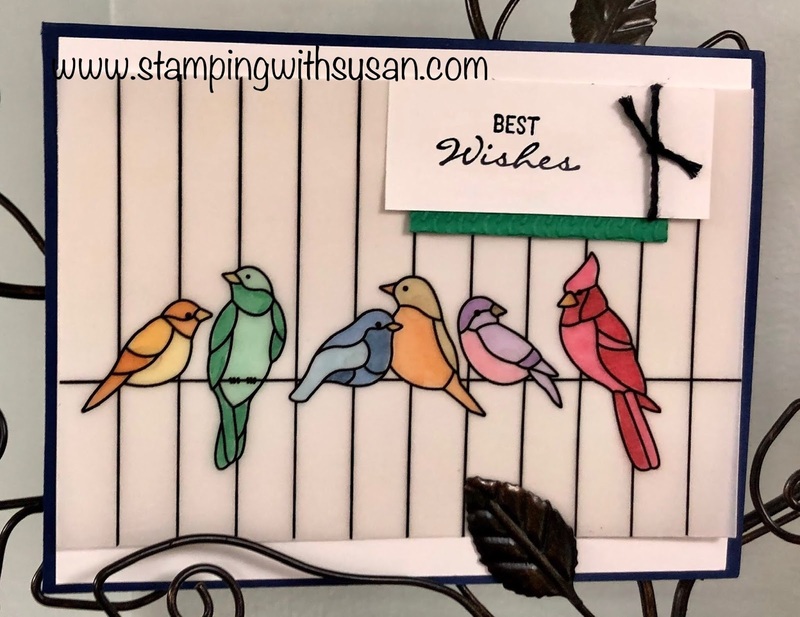 I made this card for my mother to give him. 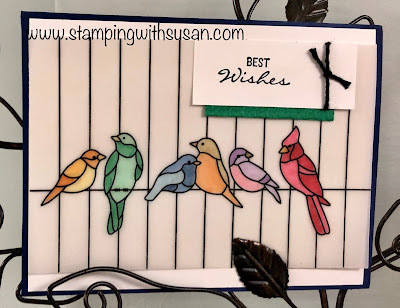 She loves birds and stained glass windows I used Stampin' Blends to watercolor the Graceful Glass Designer Vellum paper. 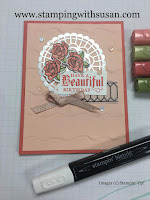 Confession time...I couldn't lay my hands on the Painted Glass stamp set that coordinates with the paper. I had to use a different greeting but it still works.